Continental Landscapes works mainly for Local Authorities covering grounds maintenance works, Street cleansing services, and we also carry out works within the private sector. The Head Office is located in Bicester and there are 20 depots covering both England and Scotland. 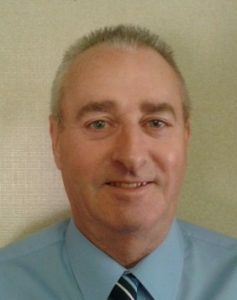 Billy Vance is the Training and Health & Safety Co-ordinator as well as transport. Continental Landscapes has been a Gold member of the FORs scheme for 6 years and within this period many savings have been made by following the good guidance of the FORs standard. CLL have made significant improvements on accident and incident stats as in the last 3 years the numbers have fallen from 333 to 278 which includes at fault, not at fault and near misses. In 2019/18 compared to 2017/18 driver at fault is down by 22%, Third party at fault down 4% and reversing accidents is down 53%. The knock on effect is a reduction of the Fleet insurance premium £25,000 per year for the next 3 years. This has only been achieved through rigorous driver training, delivery of 4 toolbox talks per month and awareness to other road users thus improving safety records. Year on year we have continued with the anti-idling campaign and save 412 tons of CO2 being omitted which also reduces PM and NOx matter with a financial saving of £67,800.00 per annum. Transport fines and charges have been reduced year on year as the costs is borne by taking the monies from the drivers wages at an agreed rate as per our Road Risk Policy. 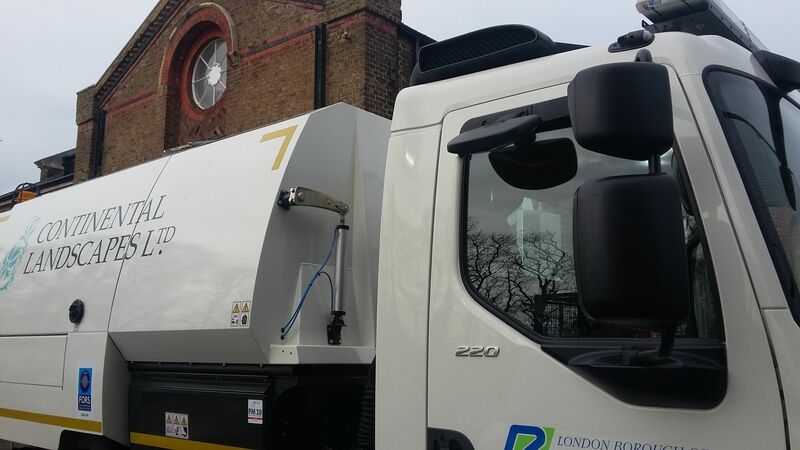 We first heard about FORs after we were successful with the tender for the Wandsworth street cleansing contract 6 years ago, and within 6 months of starting the work we achieved Gold status. We could see the benefits immediately, so, over the following 3 years brought 5 more depots onto the scheme. With the savings and efficiency we operate the whole company via the FORs standard and will continue to bring other depots on board. Benefits are access to funded training and best practices on fleet operations. We have also used our evidence from our FORs experience and the evidence from operating the FORs standard for the last 5 years we have now received the ROSPA Gold award for Health and Safety and Fleet. The support from the staff within FORs and Fleetsource has help us to gain all the above by implementing the standards as good practice across our fleet. Continental Landscapes passed their initial Bronze audit first time around and this showed us that we were operating within the guidelines for operating a fleet of vehicles, some being O Licence vehicles required and some not requiring O Licence. We decided it was irrelevant what licence was required as we had one policy and procedure covering all fleet vehicles and every depot would adhere to this policy. The joining of FORs opened our eyes we already had a good policy but we quickly learned that we could improve our own policy and procedures by following the FORs standard. Once we achieved Bronze we decided that it would be beneficial to progress to Silver because the information we gained through the Bronze audit and the immediate access to information, by following the FORs standard, could only improve our operations with transport safety, driver awareness, reduction in insurance premiums and financial aspects along with reduction in fuel and emissions which would benefit our operations. Over the next 3 months, after gaining Silver, we decided to progress to Gold accreditation. Over the next 2 years we have brought on board 5 more depots, being Richmond, Bracknell, Wolverhampton, Lincoln and Kendal. We have found being a FORs member has assisted us with our business growth including our membership within our tender documentation. Once accredited, we really made the most of the benefits on offer, in particular completing training arranged by TFL to be able to deliver Drivers CPC in house, becoming JUAPT accredited. Gaining a partnership relation with Fleetsource for further training for staff. Having access to varied courses to deliver in house and access to the Toolbox Talk library. We then took our fleet management back in house and made savings of over £120,000.00 per year by using local services for servicing and tyre replacement. Awareness of the 6 monthly licence checks and eyesight checks and the use of a vehicle graphic service. In June 2019 we are hosting a FORs associates’ 5 day course at our Head Office with two of our own staff attending the full 5 days to become fully certified as Practitioners. Steve Loudoun, the Chief Officer for Environmental and Public Protection Culture and Communities, from Bracknell Forrest, said all the contracts operating for Bracknell Council should be FORs accredited and Billy Vance from Continental Landscapes guided Steve through the process to follow. Trevor Duff, of Towergate insurance brokers for Continental Landscapes, said since becoming a FORs member over the last 6 years Continental accident/incident rate has gone from 555 to 288 and to keep up the good work. As a company we constantly review our driver fitness. We monitor Hand Arm Vibration and Whole Body vibration on a daily basis due to the use of vibrating equipment. Two years ago we had all staff tested for hearing, paid for by the Company and we are in the process of testing in the second year to get a base line and we will then retest in a further 2 years’ time. We also pay for staff eyesight checks and carry out the 6 monthly licence and eyesight checks. Within our Road Risk Policy there is a Link to the DVLA site so they can report any illness that could render them unfit to drive. On the daily drivers check sheet the first question that is asked is “are you fit to drive”? When recruiting for drivers we offer a good hourly rate of pay, pension scheme and we will also pay for LGV drivers’ medical examinations, any eyesight checks required and allow time off for visits to the doctors or opticians. We run in-house CPC courses during the working week and staff are paid their normal salary for attending, we then pay for the CPC uploads for the driver’s hours. We select the newest of vehicles and part of the selection criteria is Euro 6 engines and the lowest available vehicles giving limited noise and dust emissions. Due to the nature of our business we must use road transport only to carry out our service delivery. Our Policy is for continual fleet improvements. We have been introducing alternatively fuelled vehicles, purchasing Euro VI vehicles, constantly revising the way we monitor driver fitness and health, procuring low entry/high visibility vehicles, including additional operating centres in scope. It has been a proven fact financially with £120,000 saving on fleet management back in house, anti-idling scheme and more using Skype for managers meetings £ 67,800 and £25,000 off fleet insurance, a grand total of £212,800 saving per year, it has got to be a no brainer. We have positively promoted FORs through all our new suppliers’ forms, our Company Web site, our correspondence paperwork and we put a section of FORs on all our new tenders going to clients. Also, in June 2019 we are hosting the 5 days Practitioner workshop in our board room at our Head Office in Bicester Oxford. FORs to us is a great achievement as a company demonstrating we are a caring company looking after the Environment with emissions reduction, giving training to our staff so they have due diligence and exceptional driving standards, looking after their health and welfare thus not having a large turnover of staff, continuing with their professional development, and the financial gains speak for themselves. We also have a happy insurance company with reduced premiums. Everyone is a winner and a happy board of Directors.